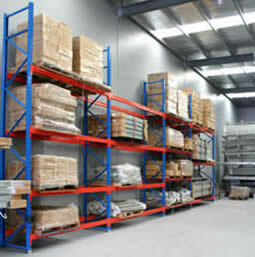 The team at MSP Shopfittings can help with all your Pallet Racking needs. The Highest grade of steel is used in the manufacturing process to ensure consistency in performance with AS4048 1993 Steel Storage Racking, Cold Formed Steel AS/NZ 4046 1996 and Euro FEM2002. 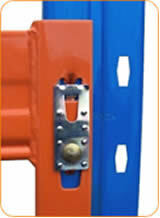 All steel is high grade tensile SS4400. 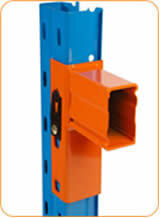 Superior Box Beam – The Box beam section has greater resistance to frontal impact and much higher torsional stiffness. Beams welded at top of connector. 4 Hook Connector for high load applications. 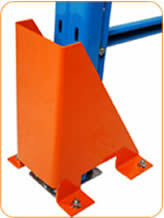 Stronger Upright with Rear Flange. 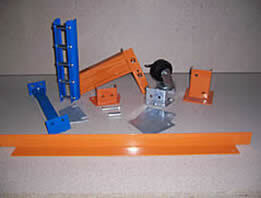 Powder Coated Components – Beams are powder coated in Bistro Orange whilst upright frames and bracing are powder coated in Blaze Blue.